The weather here has been extremely humid and muggy. The temperatures haven’t been all that high, but I hate that muggy feeling when the humidity is in the 90% range. 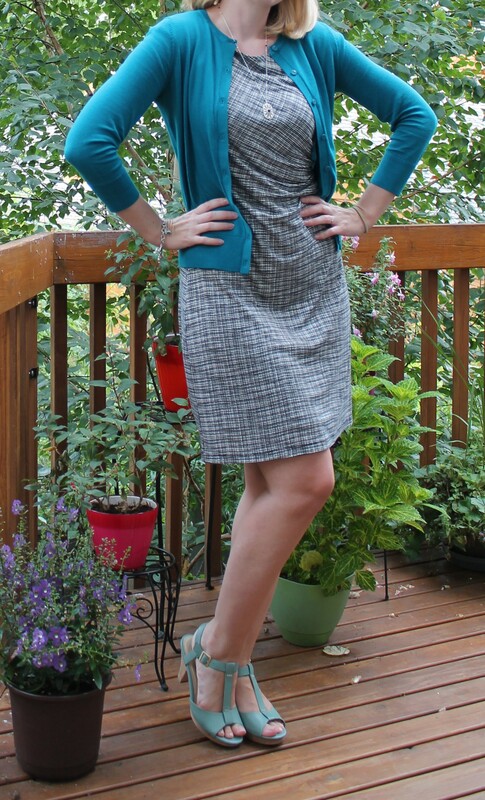 I decided to wear something on the cooler side to try to stay comfortable at work, and picked this dress and jewel toned cardigan from Ann Taylor Loft. At first I was going to wear a pair of black sandals but decided to play off of the blue in the cardigan and wear these blue heels instead. I felt very polished and professional.